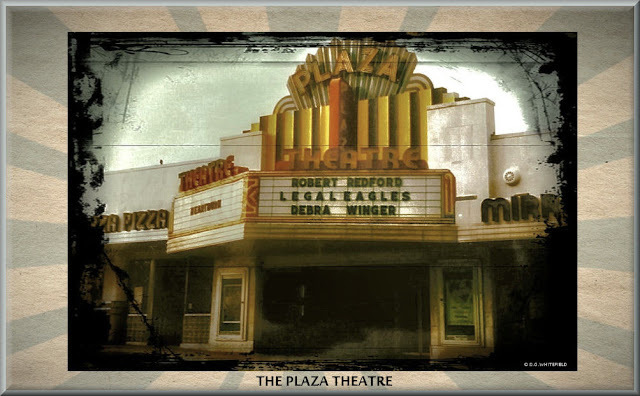 Playing at The Plaza - Robert Redford and Debra Winger in LEGAL EAGLES & Jack Nicholson in HEARTBURN. All the cats and chicks can get their kicks at the hop Let's go! Marketed as "Morningside Strip Center," the property that includes the iconic Smith's Olde Bar is due to go to auction August 28th. The property currently home to Smith's Olde Bar may soon change hands. 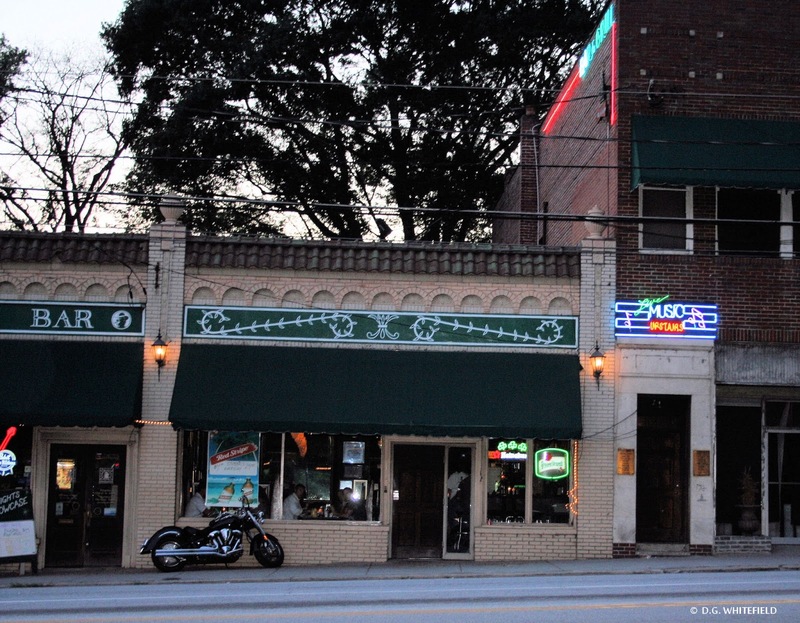 Marketed as "Morningside Strip Center," the property that includes the iconic Smith's Olde Bar is due to go to auction August 28th. 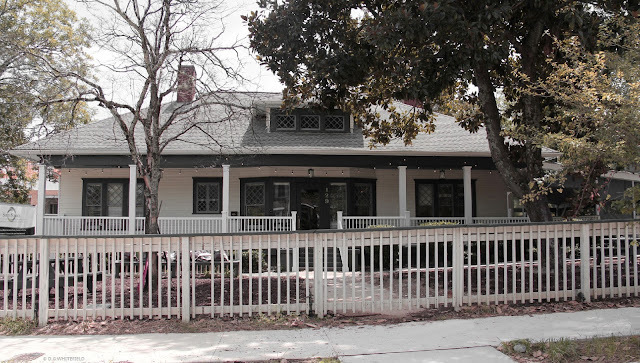 According to a "property package" I obtained, the center, on Piedmont Avenue in Piedmont Heights, was built in 1925 and has been owned by the Taylor family since 1927, or 88 consecutive years. 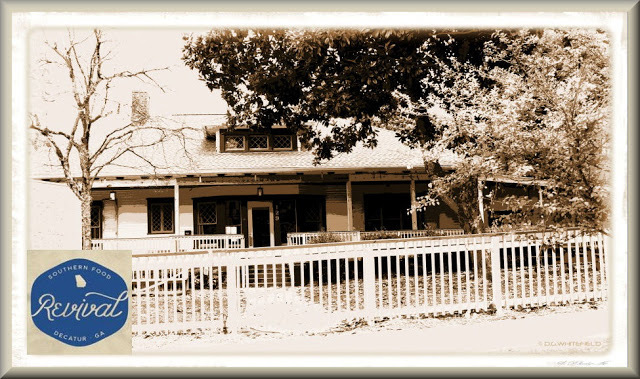 Although now controlled by a trust, Beverly Anne Taylor owned the property until this past March when she passed away at age 97. 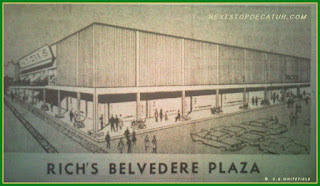 A native Atlantan, Taylor's parents May Garvey and Albert Heery Bailey had a home at the corner of Peachtree and Piedmont Roads until 1956. Notably, in 1939 she attended the premiere of Gone With The Wind and danced with Clark Gable at the ball. To this native Atlantan, both of these are pretty remarkable. Also remarkable is the longevity of key tenant Smith's Olde Bar. The bar, restaurant and live music venue occupies 10,511 square feet (over five spaces) of the property's overall 17,767 square feet in retail space. Smith's has been the center's biggest attraction in recent memory, having opened in 1993. Similar to the likes of The Masquerade and the (original) Roxy Theatre on Roswell Road in Buckhead, Smith's is a great place to see a new, local or up-and-coming band in an intimate setting. I think it's a balance between carbonated water and syrup that is messed up. Several fast food drive thru places use these machines . Many Theatre's use these and for the price you pay, you should get a drink that taste good. Never again will I use these type machines. 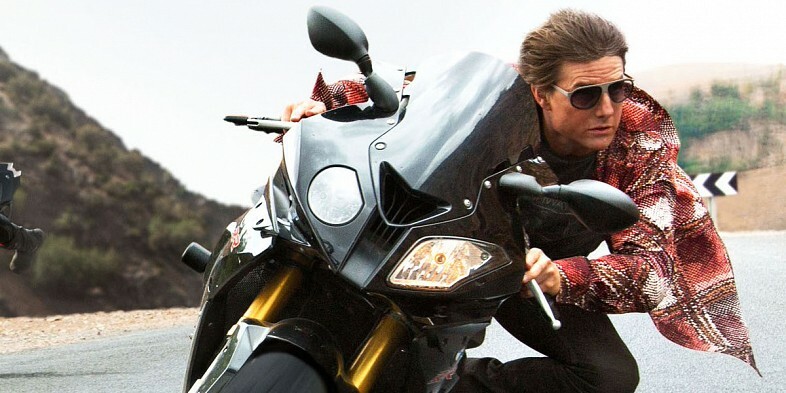 -- Comment: Anonymous said... I can't stand Freestyle machines. Besides tasting like other flavors of whatever the person before you had, they also lack in the syrup. All the drinks taste water-down. 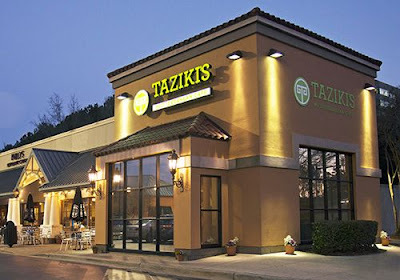 Taziki's upcoming Decatur location will opened alongside a new outpost of Highland Bakery at 315 West Ponce de Leon Avenue. As I previously announced, Taziki's upcoming Decatur location will opened alongside a new outpost of Highland Bakery at 315 West Ponce de Leon Avenue. 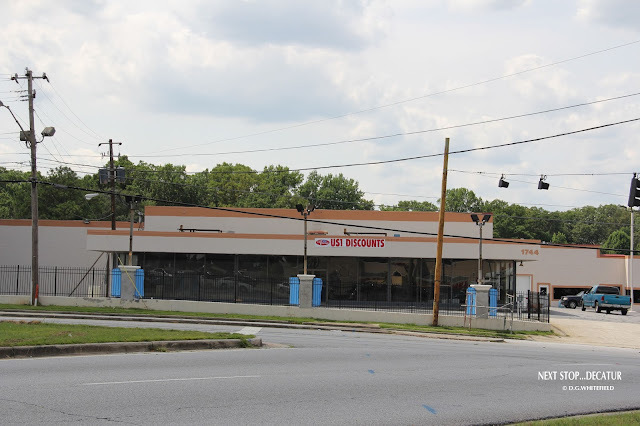 While a drive-thru I Love Juice Bar was also proposed for the property, the concept was panned by the city of Decatur and ultimately abandoned. Not in the mood to go downtown today for Slide the City? 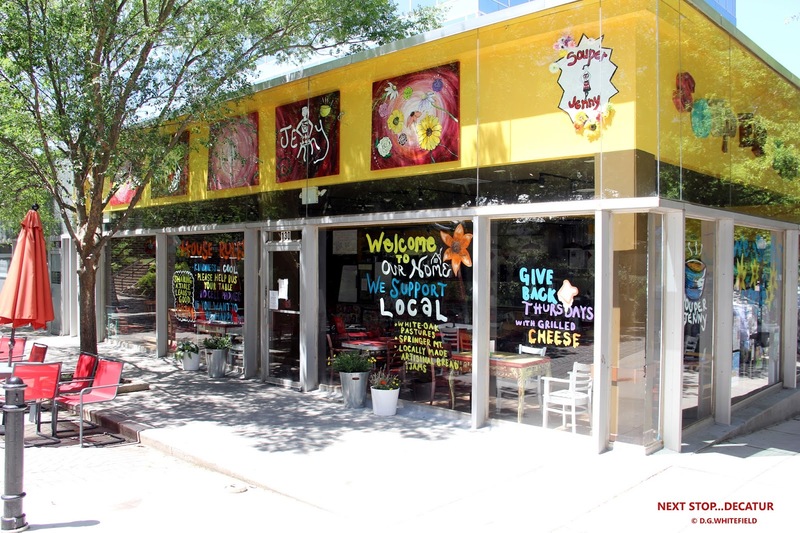 Visit the fine restaurants, stores and services in Oakhurst Village instead! They continue to remain open during regular business hours while the Oakhurst streetscape project is underway. 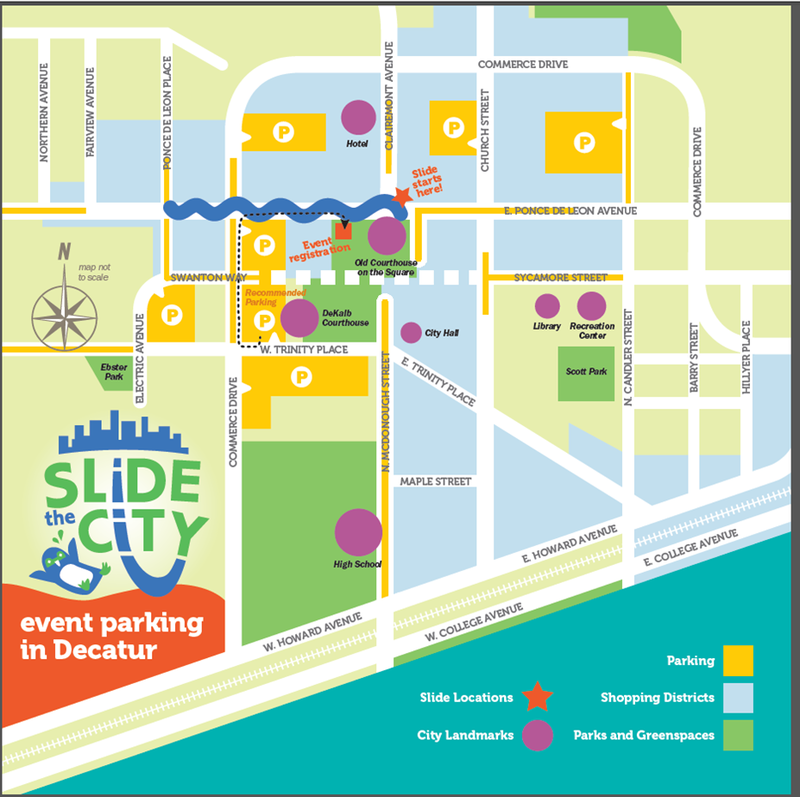 Ticket holders will be contacted by Slide the City in the near future about refunds, etc. 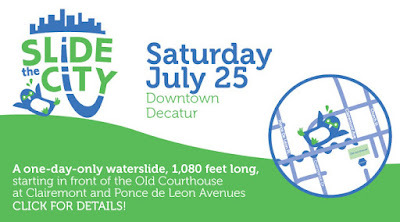 Slide the City will be CLOSED by 1 p.m.
Due to the ongoing issues with a DeKalb County water main break the decision has been made to shut down today’s Slide the City event by 1 p.m. Ticket holders will be contacted by Slide the City in the near future about refunds, etc. Because many buildings are without air conditioning (A/C system requires water), cooling centers are in the process of being established around the city. As soon as those locations are determined (we want to make sure they have water and functioning restrooms) an update will be posted here. DeKalb County continues to tweet updates via @ItsInDeKalb. So even if you don’t have tickets to ride the slide, come on out and enjoy the festivities. T.Mac, Ted’s Montana Grill, and Cafe Lily are all planning big patio parties that are open to everyone. The Slide is finally here! It will be hot so don’t forget to bring sunblock and a water bottle. And speaking of water bottles, the Environmental Sustainability Board will be out at the event refilling your water bottles for free! In celebration of the 30th anniversary of the Decatur Business Association, the DBA along with the City of Decatur has decided to shake up our traditional summer event, the Decatur Beach Party, and make a huge SPLASH this summer. For one day only, there will be a 1000 foot long water slide in the middle of W. Ponce de Leon Ave, stretching from Clairemont down to Ponce de Leon Place. W. Ponce de Leon will be closed between Clairemont Ave and Fairview Ave at 3am on Saturday, July 25th until midnight that same day. Several of our favorite Decatur businesses will be hosting patio parties and specials on Saturday. Make plans now to hang out at Cafe Lily, T. Mac, and Ted’s Montana Grill-all who have specials planned for the day! Other news sites are reporting 5 to 6 thousand people are expected, not all of the 6000 tickets were sold. This updated menu just sent in from Emily and Melissa over at Revival . 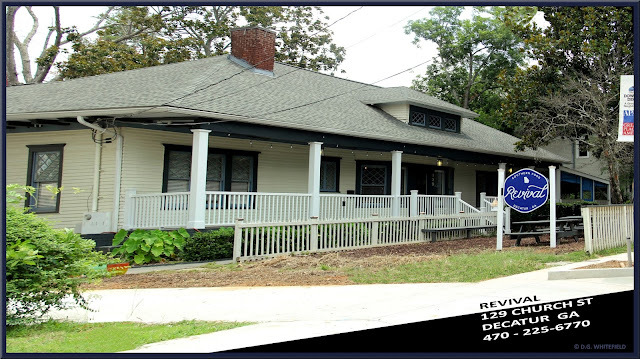 ATLANTA (July 22, 2015) – Atlanta-based chef, restaurateur and cookbook author Kevin Gillespie is opening his latest dining destination, Revival, in Decatur on Thursday, July 23. The restaurant offers guests a family-style dining experience reminiscent of Gillespie’s own family’s traditions, and executive chef Andreas Müller reinterprets the food from Gillespie’s childhood with a selection of Southern-inspired dishes that will bring guests together at the table. Müller, who previously worked at Gunshow, shares Gillespie’s enthusiasm for preparing traditional meals with farm-fresh ingredients and uses his own Swedish background to inject both rural and refined culinary influences into the Revival menu. Guests can order dishes à la carte or choose the family-style option ($49 per person), which includes the choice of one entrée for the table and is served with hors d’oeuvre, relishes, trimmings, Gillespie family iron skillet cornbread, the choice of dessert, tea and coffee. The restaurant is opening with dinner service only and will add lunch in several weeks. Revival seats 100 guests and features a lush garden and a patio space that will house an outdoor bar called Communion in spring 2016. 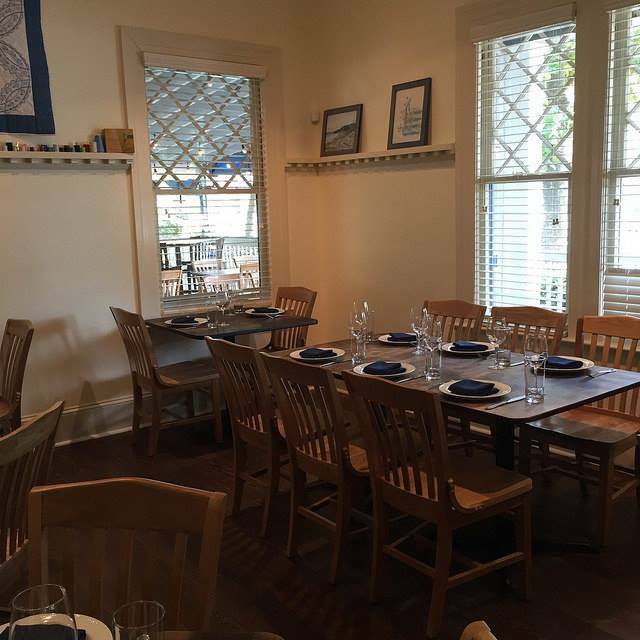 The restaurant is located at 129 Church Street in the former Harbour House Pub site in Decatur. 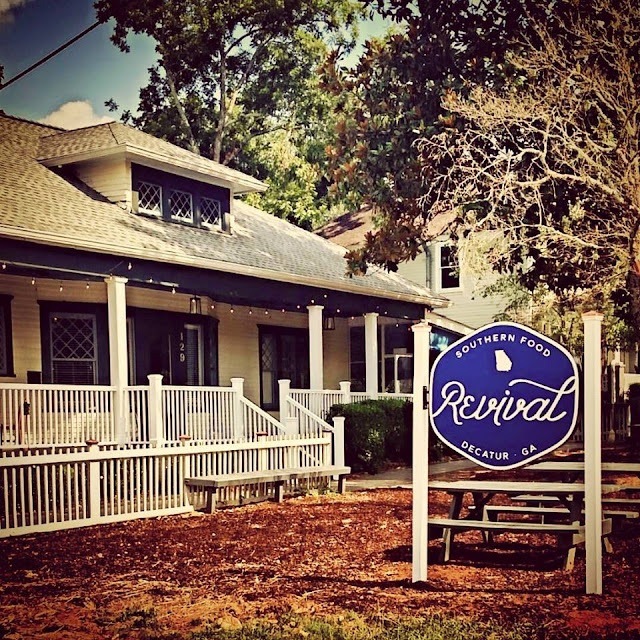 Revival is open for dinner Sunday – Thursday from 5-9 p.m. and Friday – Saturday from 5-10 p.m. Reservations are accepted but not required and can be made by calling the restaurant, 470-225-6770, or online . For updates, follow Revival on Twitter , Instagram and Facebook . Additional information can be found at www.revivaldecatur.com . 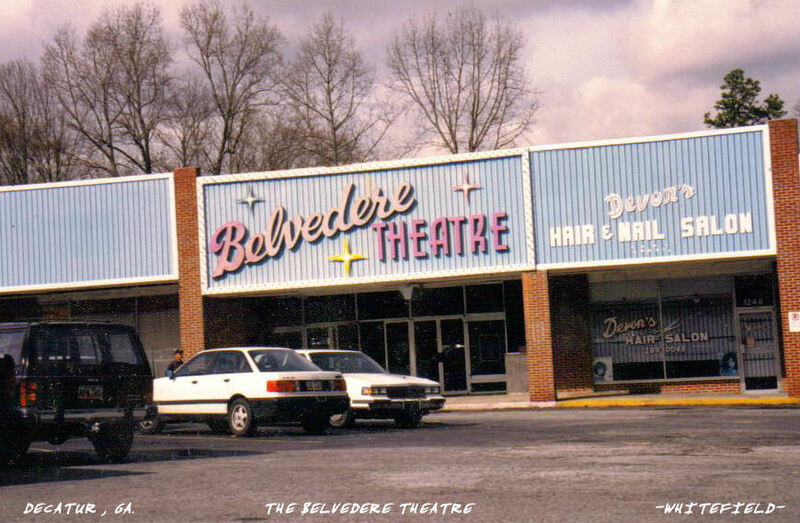 Remember this theatre, it was located at Suburban Plaza Shopping Center. original name was Martin's Eastgate Theatre but later changed name to The Suburban Plaza Theatre. The opening movie for the theatre was The World Premiere of Walt Disney "Those Calloways". 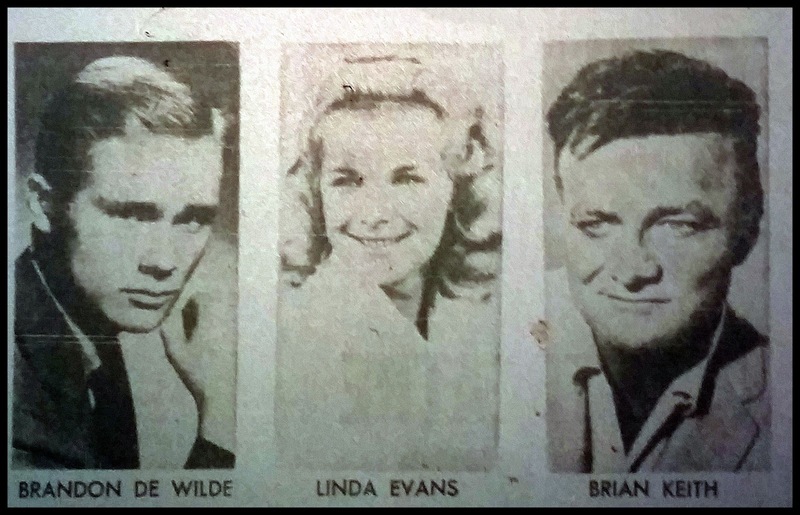 At the premiere were stars of the film, Brian Keith, Brandon De Wilde and Linda Evans. 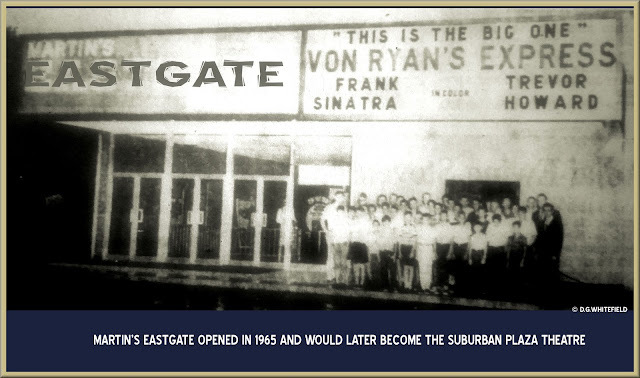 Comment from :Stan Malone Built by the Martin Theatre Company in 1964 as the Eastgate. 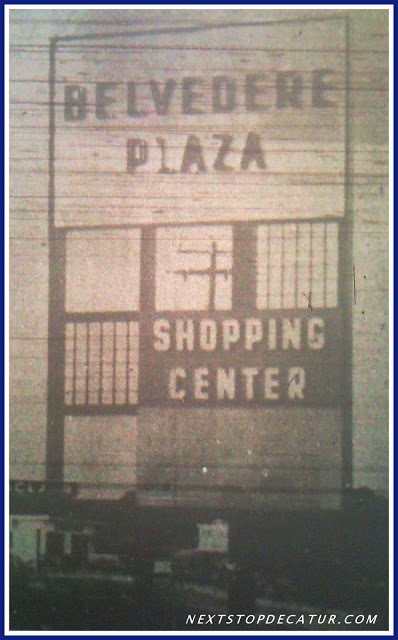 The shopping center and theatre soon underwent a name change to Suburban Plaza, probably because there was already an Eastgate Shopping Center on Columbia Drive near I-20. 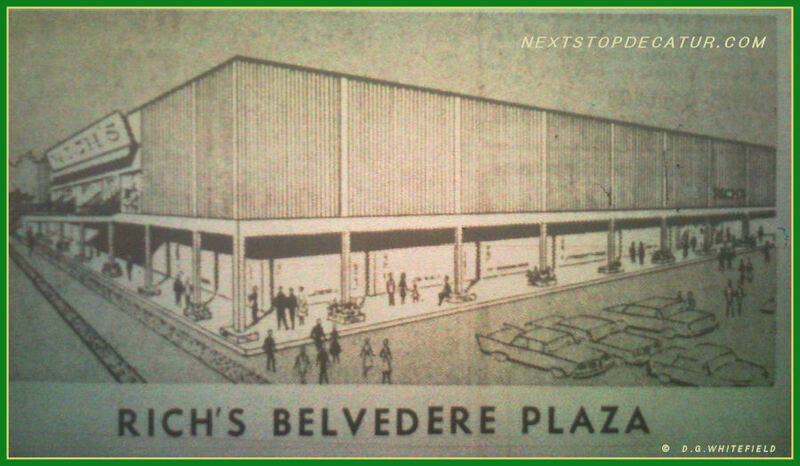 It opened in January 1965 on the same day as the Village and the Westgate Twin. Premiere feature was “Those Calloways. 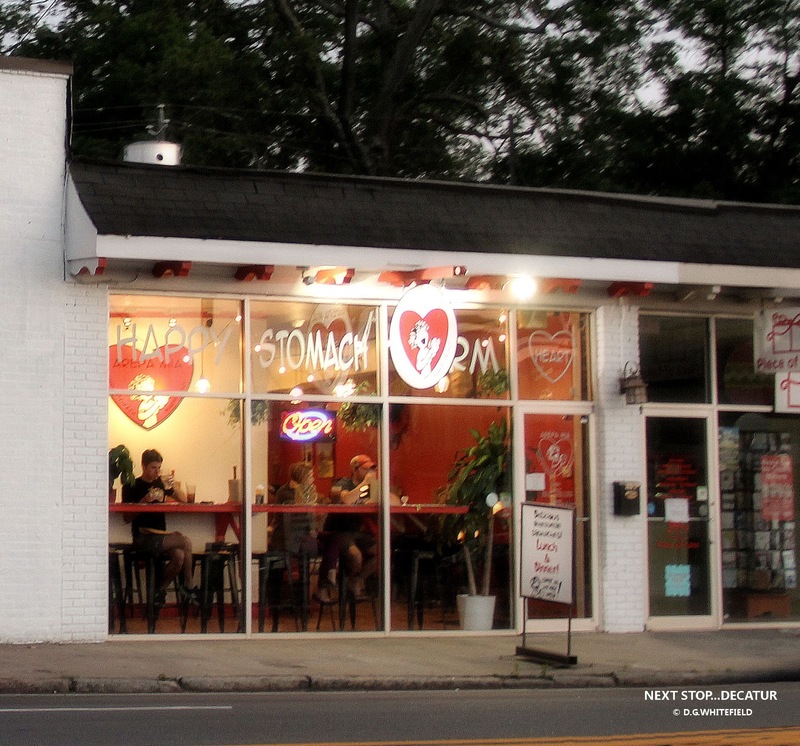 According to Decaturish a new UPDATED MENU with lower prices is in the works. From: Revival facebook: Revival officially opens Thursday, July 23rd, for dinner. For everyone interested in making reservations you have a couple choices. You can make them online at Seat Me or you can call us directly at 470-225-6770. We look forwarded to sharing the next chapter in our lives with you all very soon! 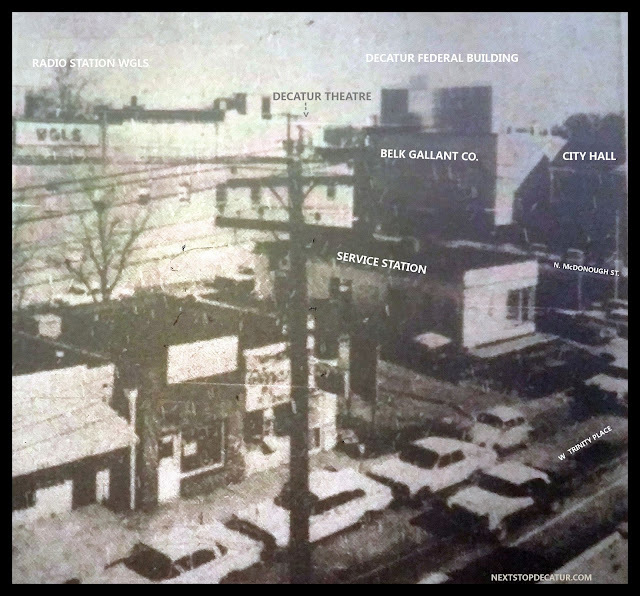 This is a 1965 bird's-eye view of downtown Decatur at N. McDonough St & W. Trinity Place. 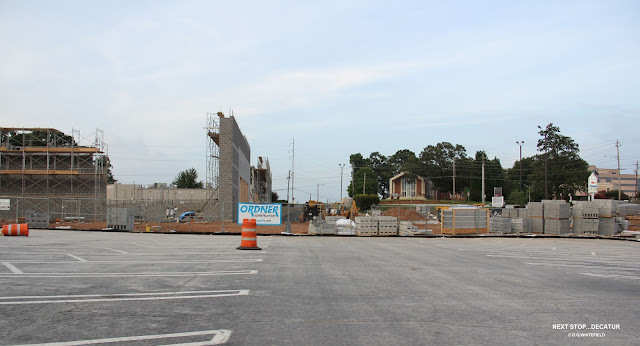 Not long after this photo was taken, this corner was all torn down for the building of the New Courthouse. Frank Thomas: I remember this! My father in law's office was on west trinity place right next to the old post office, a white marble building. Sandra Wilkins Flournoy: I went to that Belks so many times. 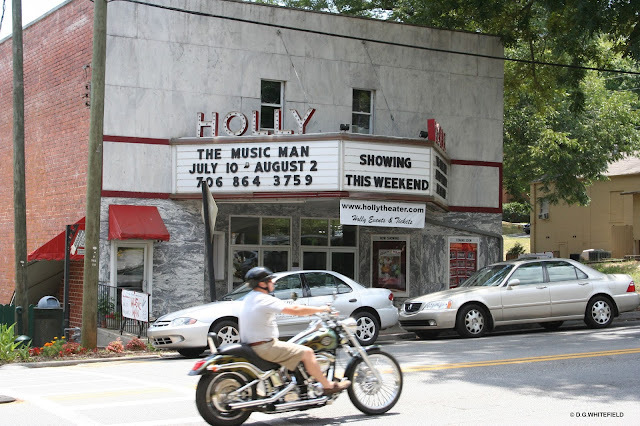 And the theater.....I remember well seeing Hush, Hush, Sweet Charlotte there. Scared the day lights out of me. Laura Peacock Babb: Frank Thomas. I remember that marble building. Sandra Wilkins Flournoy we saw the same movie there too. Diane Riley Brendel Woodall: We used to go to the Decatur Post Office every Sunday! My grandfather was the Secretary of two Masonic Lodge's. 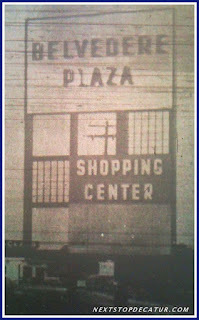 From there we would go to the Dairy Queen at Clairmont and N. Decatur Rd. The sign is up and we are putting the finishing touches on the inside! Information about how to make reservations coming soon! 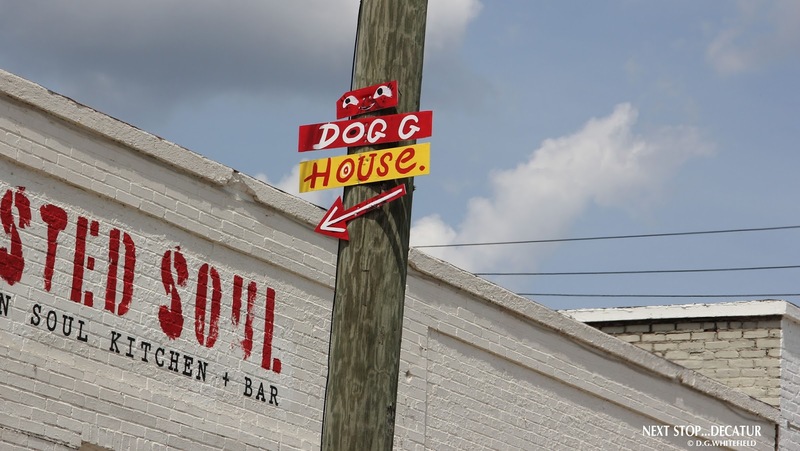 DECATUR — The wait for Revival, Kevin Gillespie's ode to Southern dining, is almost over. The date is tentative, but the Top Chef alum wants to begin service on Thursday, July 23, the restaurant's PR confirmed. 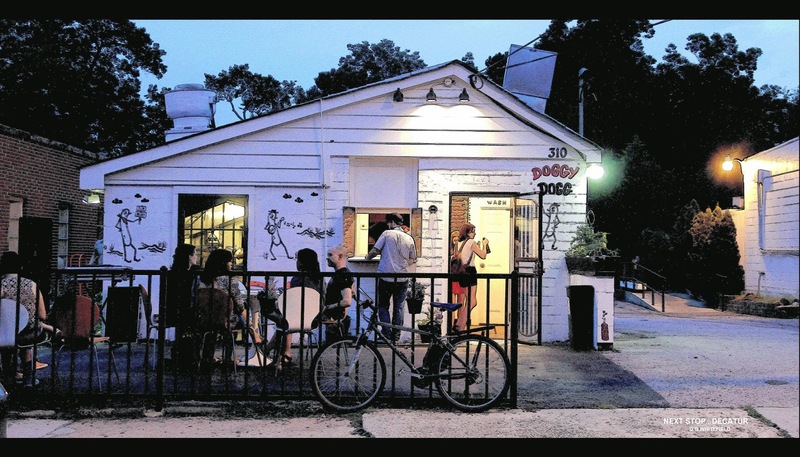 Gillespie, chef and owner of Gunshow in Glenwood Park, has said dinner at Revival will "resemble a classic Southern family-style spread served in your grandmother's home. Revival will be like going to your grandma's on Sunday — except every day." Gunshow alum Andreas Müller will serve as executive chef. Gillespie has been a busy man lately. He recently traveled to Argentina to film an episode of CNN International's Culinary Journeys, and earlier this week he announced the formation of his own restaurant group. Comment: William Riddle : My mother sneaked me into see "Easy Rider" in 1969 at the Belvedere Theatre. I was 8 and the movie of course was rated "R". We got up and left though when Jack Nicholson was getting his head bashed in! LOL! Also, does anyone remember the huge bells on display at Christmas in the mid-late 60's in Rich's front window? Comment: Thanks William for your memories, great story. From: http://www.decaturbbqfestival.com/ Advance Tickets now on Sale! BUY TICKETS Advance tickets are $ 10. Tickets will be $ 20 day of the festival. Children 12 and under are free! The Decatur Barbeque, Blues, & Bluegrass Festival is brought to you by: the Community Center of the South Decatur and the Oakhurst Neighborhood Association. 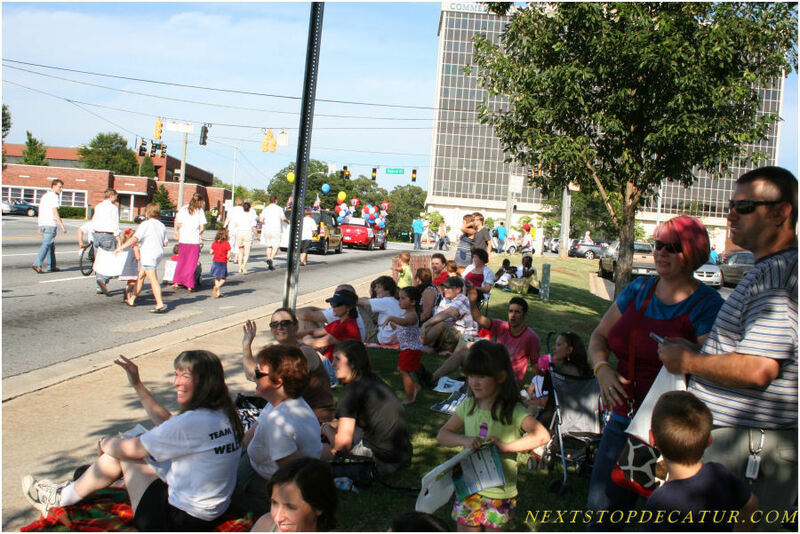 All proceeds of the festival directly into the Decatur community. When: Saturday, August 15th, 2015 Time: 12pm – 8pm Location: 630 East Lake Drive & Harmony Park in Oakhurst, south of downtown Decatur Scrumptious Food: BBQ by Fox Brothers, Williamson Bros. BBQ, and Sweet Auburn BBQ Cold Beer: Fat Tire Amber Ale, Ranger IPA, Rampant Imperial Ale, 1554, and much more from New Belgium Brewing Please note that no outside coolers or personal tents will be permitted on the site. Christie Brinkley, puts a spin on the famous movie scene as the modern day family heads to Walley World. On Wednesday, July 15, Souper Jenny Executive Chef Jessica Hanners will present a Market to Table cooking class at the Decatur store. The evening starts at 5:30 with a glass of wine followed by a shopping trip to the Decatur Farmers Market. Participants will return to Souper Jenny’s where Chef Jessica will cook for the group using her market purchases while sharing her insights on how to shop local, what produce to buy in this season and how to use what you’ve purchased in recipes for the home! A true hands on experience for those looking to shop local & create delicious summer dishes! Cost of the class is $60. Dinner, wine, and desserts will be served. Everyone will be eligible to win cookbooks. Each guest will receive a $5.00 voucher to use at a future visit to the Decatur Farmers Market. Call the store to make a reservation – 404.378.1500 – or register online at www.souperjennyatl.com and click “SHOP” on the selection menu. Rose Squared Gallery & Framing is celebrating 11 years of being Decatur's go-to source for expert framing and original art. 15th Anniversary in Downtown Decatur! In keeping with establishing ourselves as a thriving part of the Square in downtown Decatur, we are changing our name to reflect our home. Although we are still under the same ownership and management, we are now... As a thank you for our continued success, Decatur Square Gallery & Framing is offering a 20% discount on all framing for the entire month of July, 2015. We've made some cosmetic changes as well. Please come by to see us if just to say hello! Everyone has that one place. 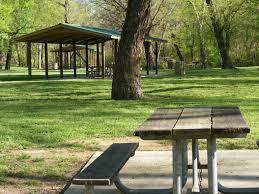 What is your favorite Summer Place to go.? 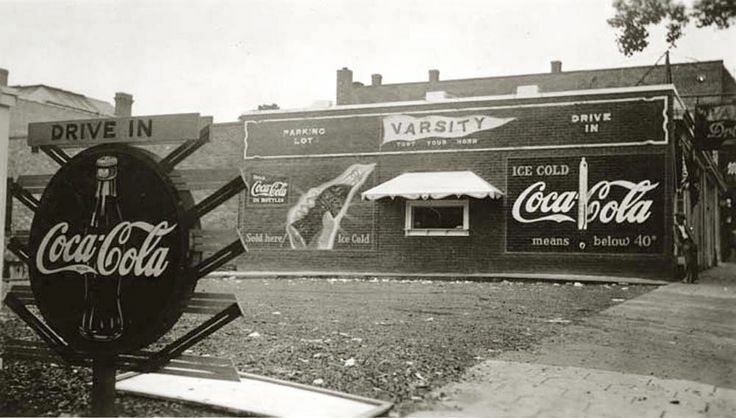 1930's view of The Varsity on North Avenue in Midtown Atlanta. 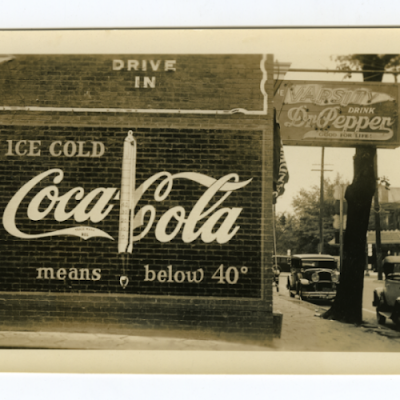 Late 1930s view of The Varsity on North Avenue in Midtown Atlanta. To close for comfort. 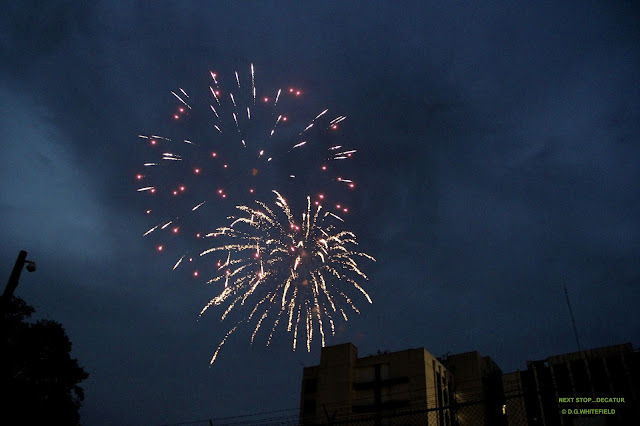 These firework watchers should have found a better spot. 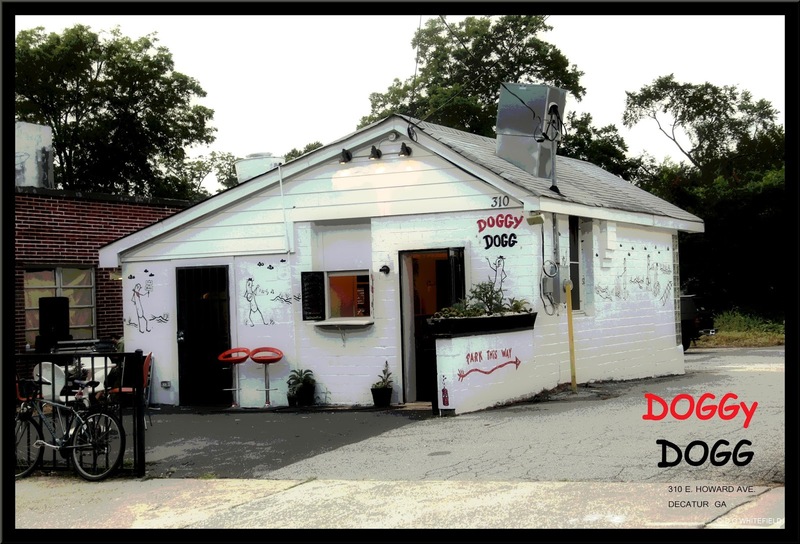 Doggy Dogg is now Open at 310 E. Howard Ave. The year-old collective Downtown Decatur Neighbors is urging the city to create more park space, particularly around the square, before the land gets scooped up by developers. The group’s president, George Dusenbury, who was city of Atlanta commissioner for Parks and Recreation from 2010-14, hopes to organize a parks task force. He spoke before Decatur’s commission in May, and plans to meet with City Manager Peggy Merriss early in July. Dusenbury said studies show that by the end of 2015, 25 percent of all Decatur residents will live downtown, primarily in condos and apartments. The DDN would like to see some of downtown’s parking lots turned into roughly one-acre parks with trees and possibly a combination splash pad/stage. 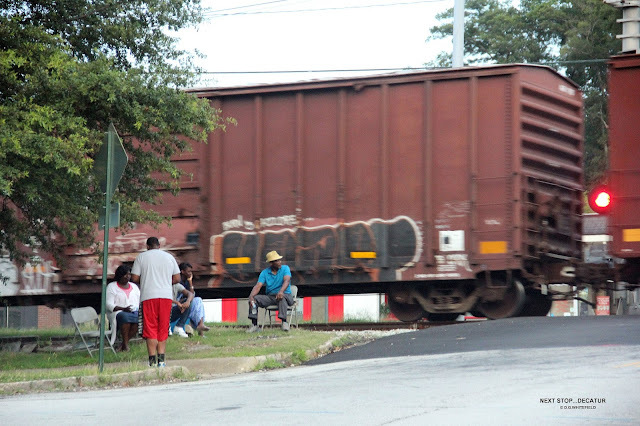 Only 2.1 percent of Decatur’s land is currently used for parks (or 4.12 percent counting the city cemetery), according to DDN research, compared to 5.2 percent for Atlanta and 8.4 percent nationwide in both medium-high and medium-low density areas. File photo of The Holly Theatre in Dahlonega. 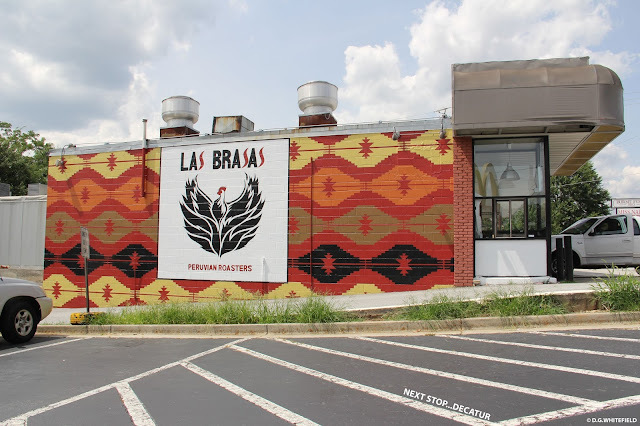 For those who want to expand their exploration of Atlanta to the perimeter and beyond, 10Best has compiled a list of can't miss things to do and places to see. Heading that list are Stone Mountain Park and Six Flags Over Georgia which are both among our favorites. Southern Appalachia's charm and culture are just an hour's drive from the heart of Atlanta. Quaint Dahlonega, located just off Highway 409, offers beautiful scenery, fresh air and good hikes. The town itself seems untouched by time thanks to brick walkways, lovely flower beds and friendly people. Locally-owned restaurants and shops offer a good feel for the North Georgia Mountains. In addition, the Crisson and Consolidated Gold Mines, 20 waterfalls, Chestatee Wildlife Preserve and three wineries (Frogtown, Three Sisters and Wolf Mountain) give the town extra year-round appeal. For more information, contact the Dahlonega-Lumpkin County Chamber of Commerce & Visitors Center at 800-231-5543. Home of the UGA "Dawgs," launch-pad for bands REM and Widespread Panic, college town par excellence — Athens certainly doesn't suffer from a lack of versatility. 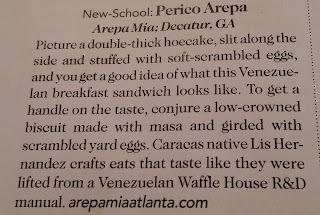 Platted around the venerable University of Georgia — whose alumni include former US Senator Phil Gramm and journalist Deborah Norville — the city is as much a draw as the campus is. Shop at its many eclectic boutiques, enjoy the rich array of nightclubs and live music hangouts on Broad Street and beyond, or just explore the surprisingly global (and compact) restaurant scene. You won't go away unhappy. Indeed, Athens is always in season. It's only an hour's drive northeast of Atlanta. For more information, contact the Athens Convention and Visitors Bureau at 800-653-0603. For the fourth year, Atlanta’s food truck fanatics will experience a day dedicated to the city’s finest food truck fare as the Atlanta Street Food Festival rolls into Piedmont Park on Saturday, July 11, from noon to 10 p.m. Renowned as Atlanta’s first and only event dedicated to street cuisine, the Festival is proud to announce that, once again, a portion of event proceeds will support the Giving Kitchen, the beloved culinary charity with the unique mission of providing crisis grants to members of Atlanta’s restaurant community facing unanticipated hardship. 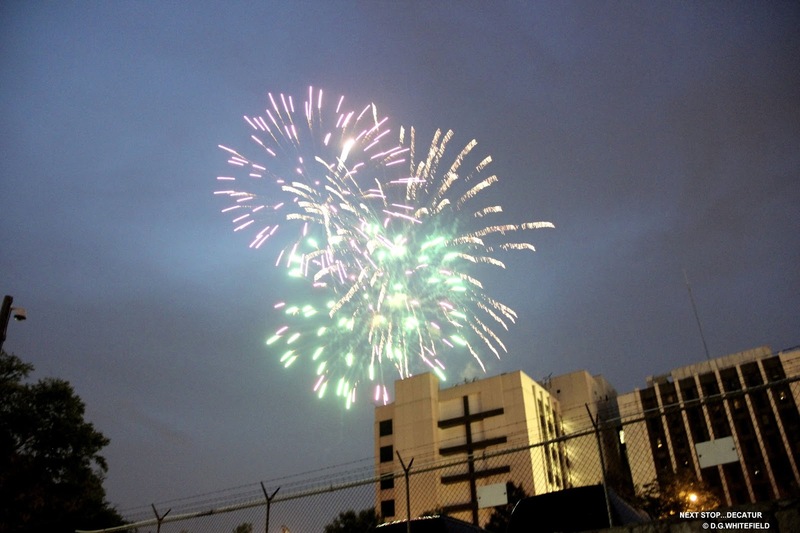 More than 50 food trucks, including MIX’d UP, Nectar Food Truck, Ibiza Bites, Yumbii, Genki Sushi Food Truck and Viet-Nomie’s, will gather for the occasion for guests to partake in more food and fun. 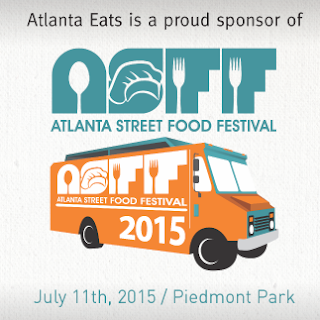 Don’t forget to stop by the Atlanta Eats tent to score all types of food prizes! Updated : STONE MOUNTAIN SAYS Confederate Flag will stay. 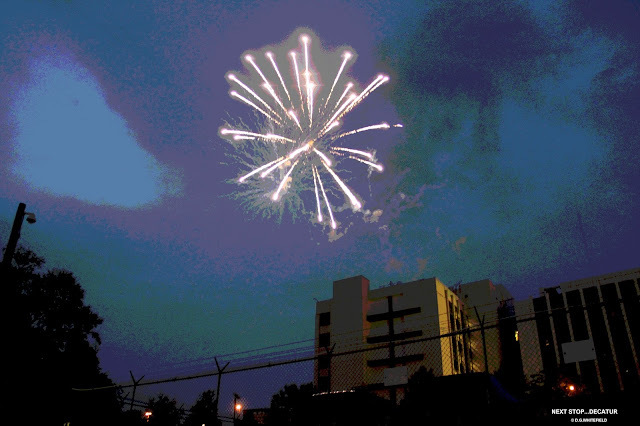 Stone Mountain Park tends to draw a crowd for Independence Day festivities. 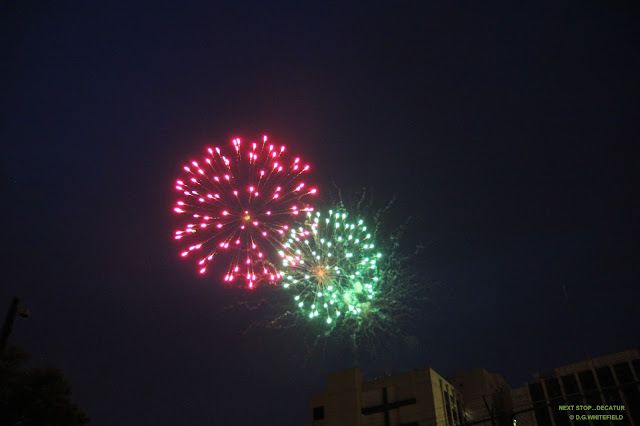 But state Rep. LaDawn Jones, D-Atlanta, is urging citizens to skip the attraction’s laser-light show and find another place to view fireworks. Jones wants people to avoid the mountain, which features three Confederate figures prominently carved into its north face, until the Confederate flags at the bottom of the rock stop flying. She says the recent killings of nine men and women in a historic black church in Charleston, S.C., "immediately reignited my disdain for the Confederate Flag and all places that it flies over." Jones says people like Dylann Storm Roof, the accused Charleston shooter, are "empowered" in places that display such a "hateful message." She says The Stone Mountain Memorial Association, the state authority that oversees the park, has yet to respond to her requests to remove the flags. But she thinks the association should be well aware of the stigma surrounding the flag. “Unless they’re living under a rock, they know what’s going on in the country," she says. 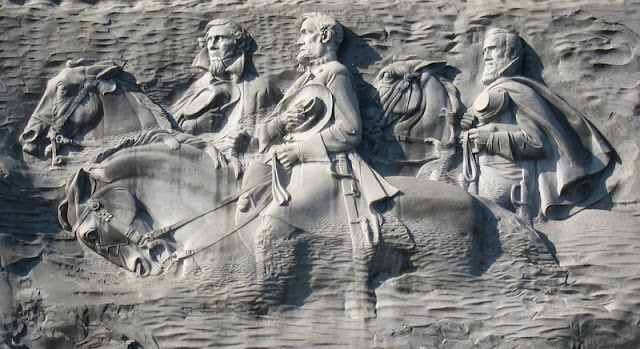 “Due to the large carving… Stone Mountain will always be a memorial to the Confederate soldiers and the Civil War," Jones says. "However, we can stop giving credence to this type of hate by removing the flags that fly at the bottom [of the mountain]." However, SMMA CEO Bill Stephens tells Creative Loafing that Stone Mountain is protected by state law as a Confederate memorial. Best comment left: Good!!! More space for me!! !